CCFWindows Ltd - Windows/Doors/Conservatories based in Church Warsop, Nottinghamshire. My name is Aaron Ford. 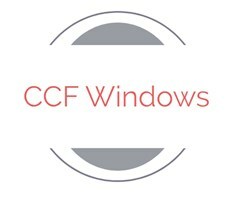 I started CCFWindowsLTD on 18Th August 2018, I decided on CCF because of my two young boys Cohen and Cole Ford. I spent just under 2 years working for a well known Home improvement company but decided to go off on my self. I have two years fitting and 6 years manufacturing experience.